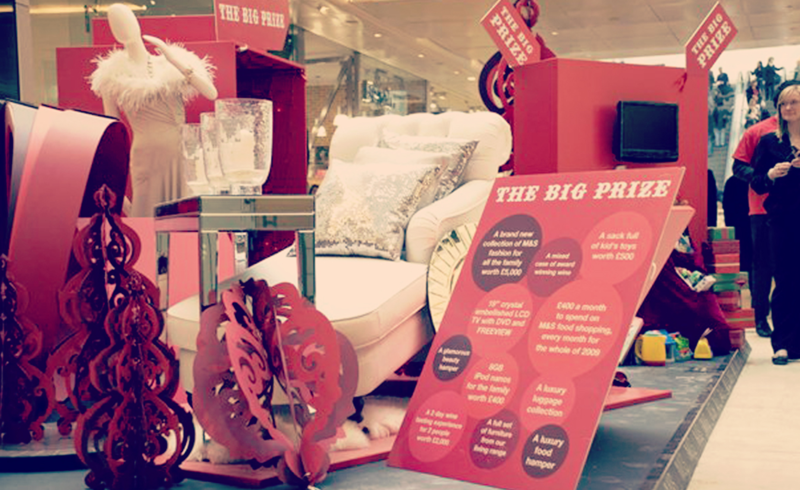 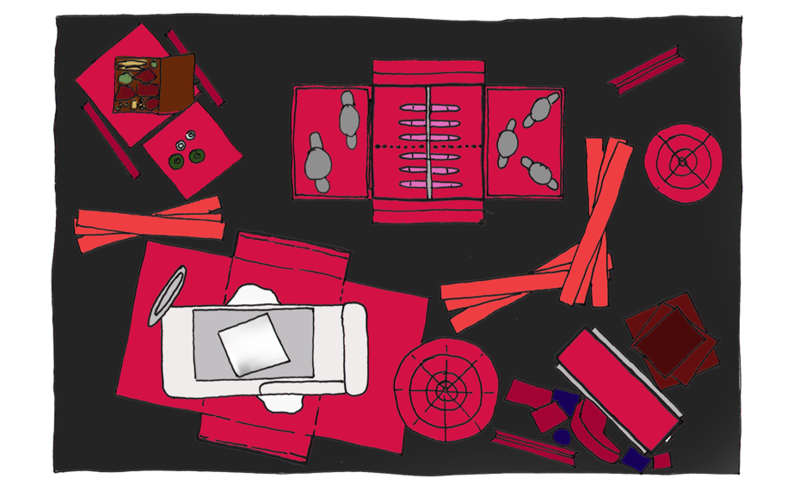 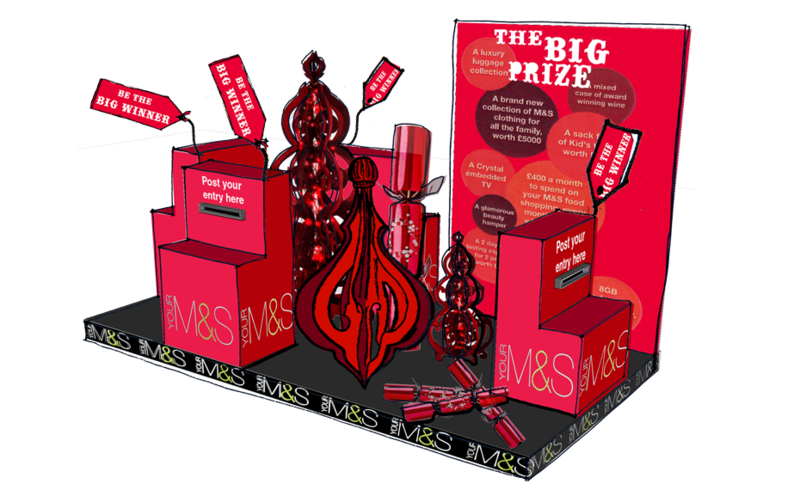 Concept development and technical detailing, on behalf of Logistik Ltd, of two exhibition display stands for the Westfield London store opening, promoting the store and the Christmas In-store Competition. 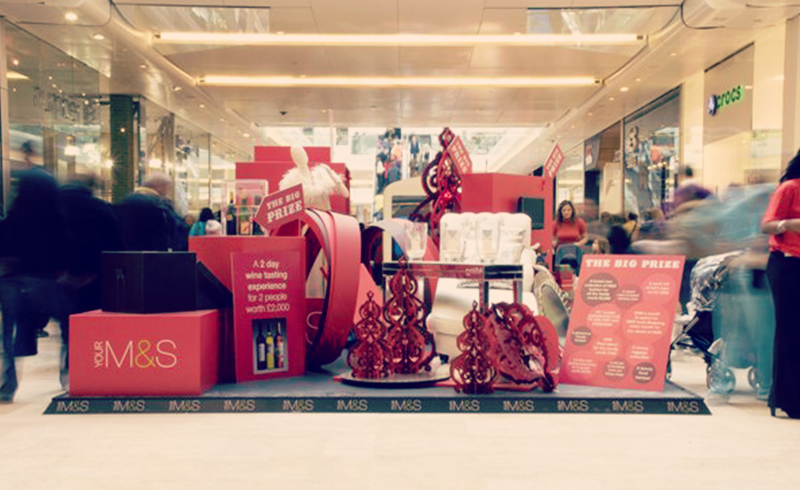 A concept that utilised the client’s Christmas look and feel, together with visual merchandising props to create an exciting retail display within the shopping centre’s main atrium space. 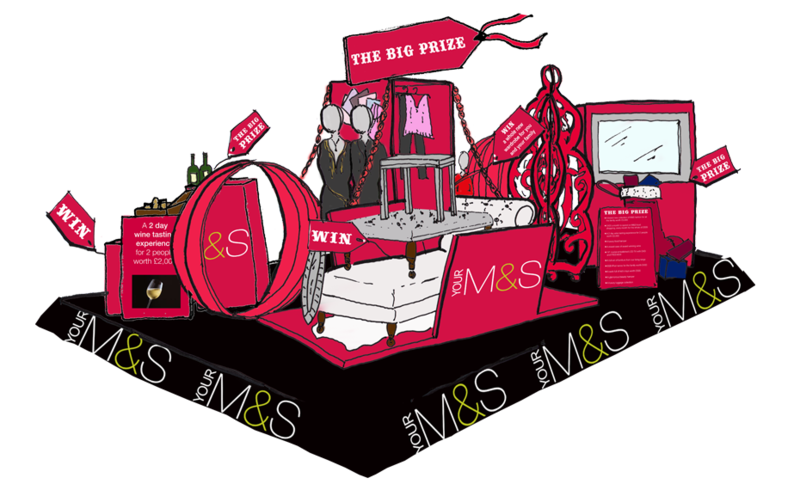 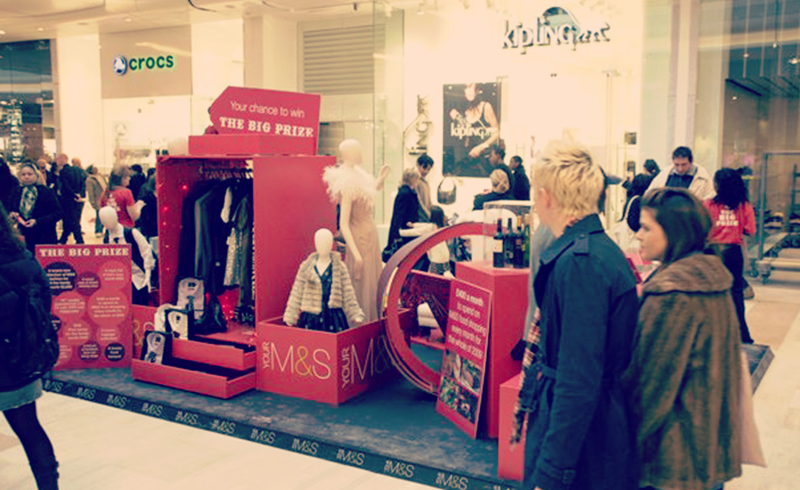 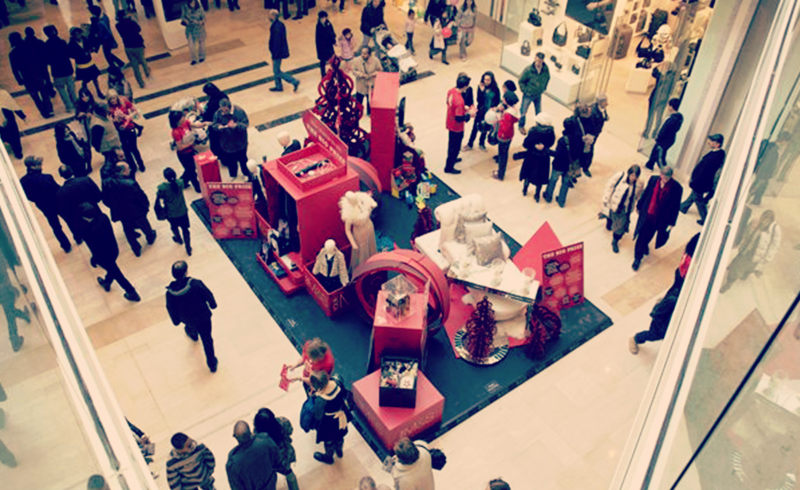 Designed to attract and engage customers to enter a competition and to direct the shoppers to the M&S store, where an in-store plinth was located, which customers used to register and enter the competition, utilising the same language to create a cohesive and continuous look and feel throughout.